A long-time friend of Proton Music, Andre Sobota, continually impresses with a growing catalogue of original material. Returning to the label, he excels once again with his "Alter Ego". Consistently at the cutting edge of underground dance music with an ability to cross-over into the mainstream without compromising his sound, Andre Sobota continues to shine. From an official remix of Coldplay and Rihanna's "Princess of China" for EMI to multiple appearances on BBC Radio 1, Sobota's ability to find the pulse of modern dance music is unerring. Moreover, the Brazilian's work for a host of high-calibre imprints has seen him recognised as a master of sound design and melodic phrasing. A regular on the likes of Anjunadeep, Toolroom and microCastle, a half-century of credits for the latter has seen the Andre Sobota's music create a unique following among peers and fans alike. A frequent contributor to Particles and Proton Music since a debut for the latter in November 2009, Sobota quickly found a place in the Proton hall of fame with his remarkable "One Day Out" EP a month later. A host of remixes followed from the likes of Shingo Nakamura, Cid Inc. and Kassey Voorn before a four-year hiatus saw him return with a sublime new interpretation of his debut EP under the cleverly titled "5 Years Outside". New tracks in "Signal", "Concluded" and "Fragments" shone brightly, before two further offerings in July 2017's "Unmute" and June 2018's "Robots", showcased a quartet of tracks reinvigorated further by remixes from Nicolas Rada, Silinder and GMJ and Matter. Following a remix of Dutch artist, Deeparture, in November 2018, Andre Sobota now returns with the stunning three-track, "Alter Ego". The title track is immediately characterised by a trademark rhythmic framework that provides the perfect vehicle for a rich series of melodies to shimmer into sonic range backed by a gloriously deep and rasping bassline. Building with ease and full of dancefloor intensity, sustained chords and reverb-drenched effects create a mid-point pause before the chunky groove and melodic components pick up the pace in the second half. "Dreamless" immediately appeals with rolling rhythmic structure and haunting vocal phrasing redolent in complex effects processing. A strong kick supplies dynamic energy as a plucked arpeggio in the breakdown opens up into a sparkling melodic jewel in the third movement. The result is a trademark track Andre Sobota gem. Final track, "Left Behind", continues the dance floor theme with a pounding beat opening proceedings, before a richly textured and sustained chord heralds a shaker-driven percussive cadence and club-friendly bass groove. Continuing at unrelenting pace, a glistening chord progression comes to the fore as it pans across the stereo spectrum in modulated brilliance at the mid-point. Hitting its straps again in the second half, Sobota's skill is in full evidence as an expertly constructed track evolves from start to finish. 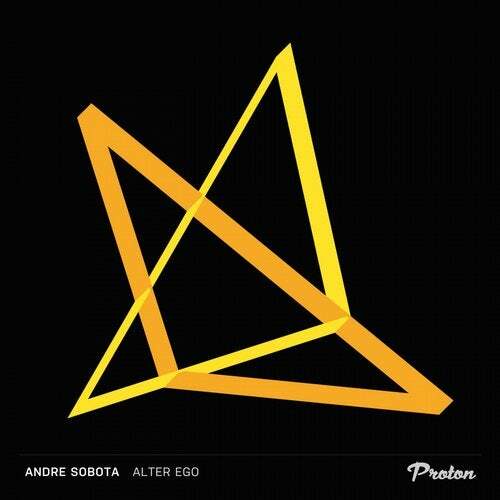 A new musical triptych finds Andre Sobota very much in the limelight with his new "Alter Ego".